A year ago the Media Literacy Project (MLP) created a set of guiding principles to steer our mission and our vision for media justice. These principles clarified which steps to prioritize in our strategic plan, and named the communities we would prioritize in our outreach and organizing programs. One result was the development of our Girl Tech Collective, an initiative to train young women of color (ages 15-24) in media justice, media production, media messaging, and reproductive justice. All the women in GTC are members of various organizations from Women Building Community (WBC), a cohort supported by the New Mexico Community Foundation’s WBC Fund. MLP’s commitment to taking on reproductive justice led to an invitation to join the Third Wave Reproductive Justice Network—a network of Third Wave Foundation grantee organizations from across the country. Their work spans the various intersections that overlap with reproductive justice (RJ). RJ is defined as the complete physical, mental, spiritual, political, economic, and social well-being of women and girls, and will be achieved when women and girls have the economic, social and political power and resources to make healthy decisions about our bodies, sexuality and reproduction for ourselves, our families, and our communities in all areas of our lives. 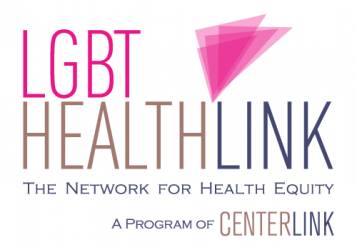 All of the network organizations do various reproductive justice work through complementary strategies including birthing rights, sexual violence prevention, queer youth organizing, fighting for comprehensive sexuality education, and support programs for youth in alternative economies, specifically youth of color and trans youth. The RJ Network provides a space for organizations to share, learn, and build with one another as we develop collective goals to support the reproductive justice needs of our respective communities. We saw the US Social Forum as an opportunity to collaborate and were excited to have a workshop at the US Social Forum on June 25 in Detroit. Reproductive Justice 101: Creative Vision, Innovative Strategies, and Powerful Networks was facilitated by staff and volunteers from SPARK Reproductive Justice NOW!, New Voices Pittsburgh, Media Literacy Project, SAFER, and Third Wave. Over 30 people attended the four-hour workshop where we created an RJ timeline, diagrammed issues and key players in our movement, shared our visions for a world with RJ, and created digital stories. In the RJ timeline activity, participants discussed various events such as the 2006 Free the NJ4 campaign, the forced sterilization of women of color and women with disabilities, the use of Depo Provera on Native women in Phoenix and Oklahoma City in the 1980’s, and the current incarceration of transgender and gender variant people who are systematically put in prisons which refuse to place them in facilities based on their gender identity. What emerged from the conversations following the activity and throughout the workshop was that reproductive justice, as a framework, centers the lived realities of low-income youth, women, and trans people of color, and that we need support, networks, and policies which create a world where we can each live our lives without limits, barriers, and borders. The Media Literacy Project is currently creating digital stories from the interviews we conducted with some of the workshop participants. These stories will be shared on our website and will be included in our Girl Tech Collective community event this Fall. Please visit our website for an example of how we deconstruct media within an RJ framework, or sign-up to receive updates on all of our media justice campaigns.